​Why not book the We Dig the Castle team to visit your group or venue. 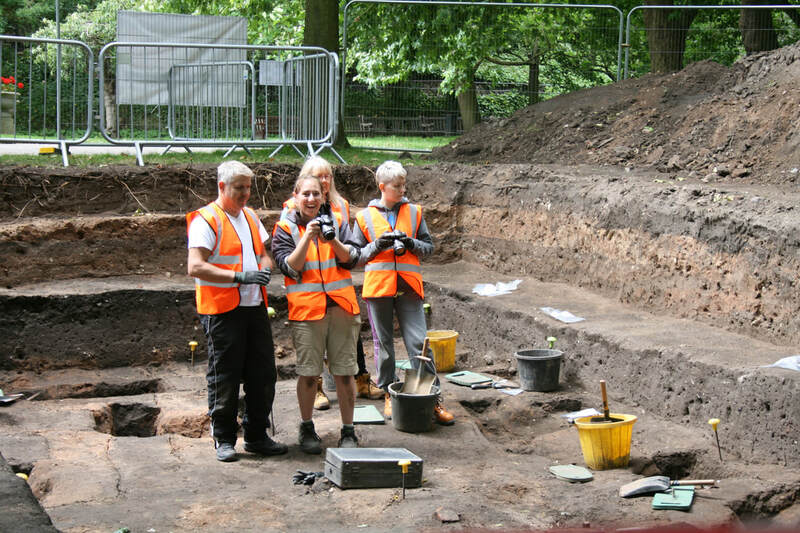 ​We can offer a variety of talks, including or focusing on the history and archaeology of Nottingham Castle, archaeological investigations at the site, and the We Dig the Castle excavations. We’ll also bring finds from We Dig the Castle. ​To find out more please get in touch. An update on the discoveries made at Nottingham Castle by the We Dig the Castle trainees of 2016 and 2017. Venue: Farndon Memorial Hall, Marsh Lane, Farndon, Newark, Nottinghamshire, NG24 3SZ. Venue: Chester Green Community Centre, Old Chester Road, Derby, DE1 3SA . Venue: The Institute, Roe Lane, Woodborough, Nottingham, NG14 6BW. A West Bridgford & District Local History Society event. Venue: Lutterell Hall, Bridgford Road, West Bridgford, Nottingham, NG2 6AY. An East Bridgford Local History Group event.